SRP is committed to consistently delivering high quality products and services to our clients. 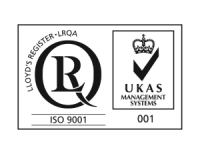 We operate an ISO 9001:2015 certified quality management system. This system is based on continual improvement of every product or process; ensuring each product is fit for purpose and meets our clients’ needs for reliability, safety and product longevity. Our project management processes and document control system run in SharePoint, with workflows controlling of document checking and approval. Maintaining a safe working environment is our top priority, and we are proud to remain LTI free since we were founded. We are committed to ensuring that during the course of the working day, no person working for us, or on our behalf, should have suffered injury or caused harm to anyone else. To enable this safety focus we operate an ISO 18001 certified health and safety management system, and equip our staff with training to do the job as well as mobile apps for risk management on site.